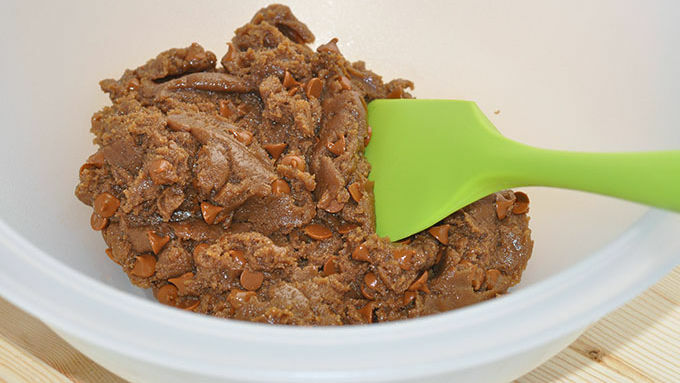 Using a rubber spatula in a medium bowl, cream the cookie butter and dark brown sugar together, then add the egg, baking soda and cinnamon baking chips. Mix well. Chill dough in refrigerator for 15 minutes. Meanwhile, preheat the oven to 350°F. Remove dough from refrigerator and drop, in 1-inch balls, onto parchment-lined baking sheets. Bake 9 minutes, until edges are set. The center of the cookies will be soft but not doughy. 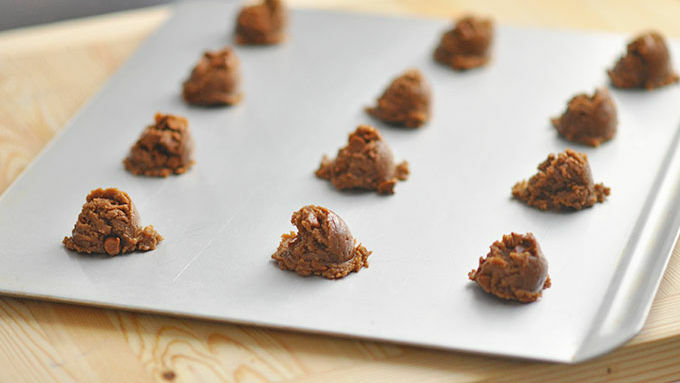 Remove from oven and allow cookies to cool 2 minutes on the baking sheet before removing to a rack to cool completely. 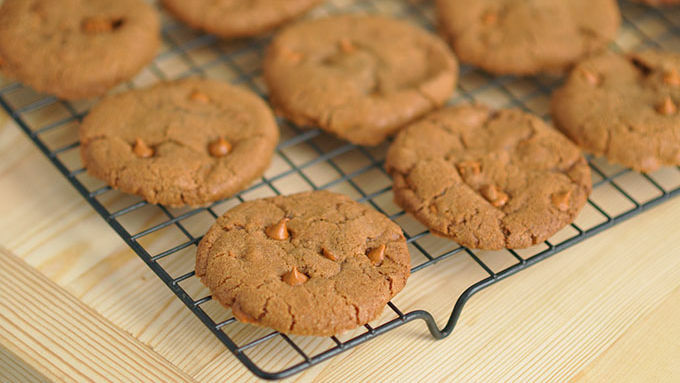 These cookies can be made without the cinnamon baking chips, if desired (or chocolate chips can be substituted). Find the cinnamon chips by the chocolate chips in the baking aisle. Flying isn’t so much fun anymore, ya know? You have to be there so early for security, then they board you early and you sit on the ground without Wi-Fi way too long. The only bright spot—other than getting to that place that you’re trying to get to—is when you see that fat snack cart start making its way down the skinny aisle. It’s even worth having access blocked for awhile to the Barbie™-sized bathrooms, because… Cookies. You know the ones. Those crisp, light little cinnamon-y wafers that go so perfectly with coffee or milk. That taste! If you think they’re good munching, you should smell ‘em baking in your very own kitchen. So waftingly wonderful. Really. This is a great recipe when you have friends unexpectedly drop by, or to bring to the party. 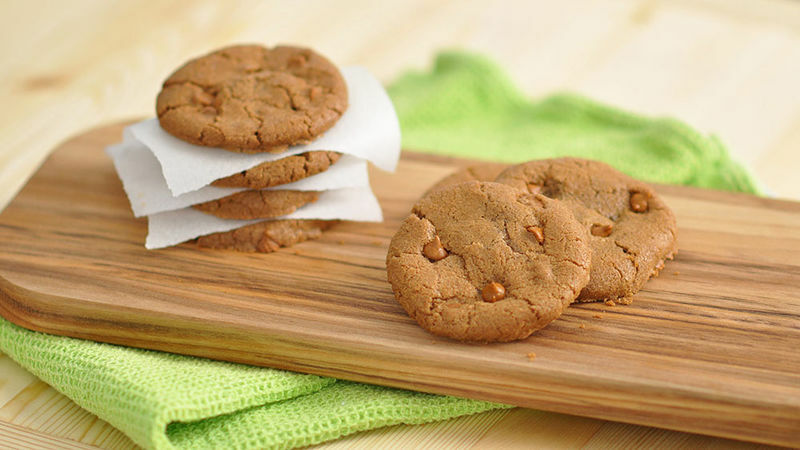 You can mix these cookies up and feed them to your oven inside of 5 minutes. And now you have enough deliciousness to be everyone’s new best friend. Or enough to hoard to your heart’s content. Trust me, I won’t judge.